ICEM presented at this year’s FOSS4GNA in San Francisco. FOSS4GNA is one of the largest global gatherings focused on open source geospatial software. It brings together developers, users, decision-makers and observers from a broad spectrum of organizations and fields of operation to foster the development of and support for open source geospatial software in a variety of fields. The presentation focused on ICEM’s map Impact of Water Supply Infrastructure on Floods and Droughts in the Mekong Region, which was built as part of the Optimising Cascades project. 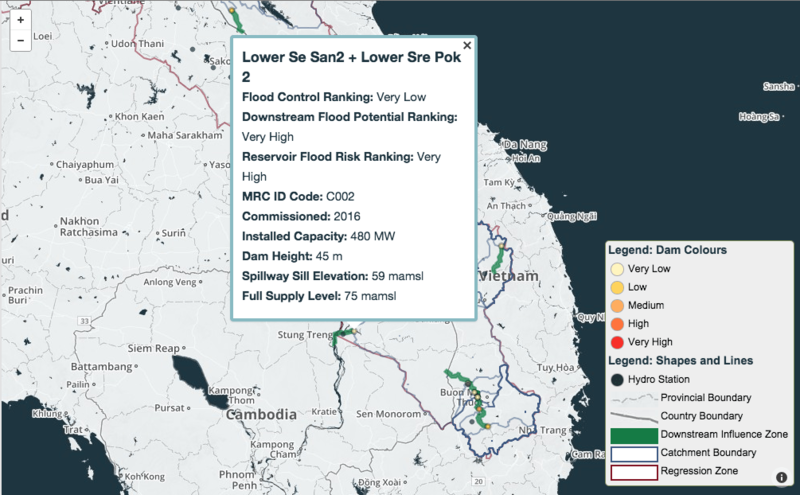 This interactive map highlights results of a study of 67 Mekong dams for indicators such as flood control capacity and natural flood threat of the dam’s catchment. Users are given the option to change which indicator they are viewing at any given time, thus changing the overall picture of floods and dams in the basin. Each map element contains deeper data and information. The presentation highlighted in particular the Lower Se San Dam, which coincided well with the keynote delivered by Planet Labs, whose high-resolution satellite imagery recently captured the dam’s rapid construction. FOSS4GNA also afforded the opportunity to develop connections with Development Seed. Development Seed’s work focuses mainly on humanitarian aid, however, its OpenDataKit collection of software, originally designed to gather spatial and on-the-ground information in refugee camps in Lebanon, will likely prove very effective in ICEM’s upcoming projects on the Salween and Irrawaddy rivers in Myanmar. 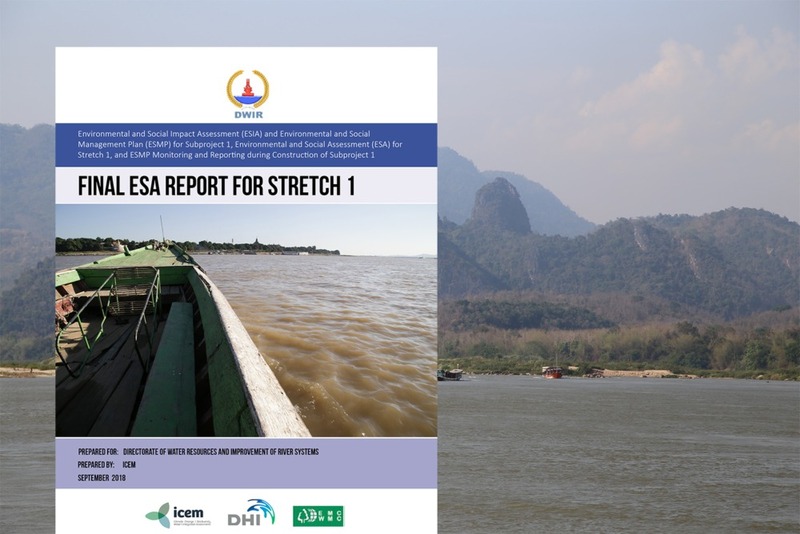 These Healthy Rivers Initiatives will bring together remote sensing data and ground-sourced information to develop a clear picture of river health in Myanmar and a River Health Framework for each of the basins.